I’ve just finished some seriously powerful imagination exercises. I do them every day. You should too. Why? Because your imagination is your most powerful tool. Without imagination we wouldn’t have any of the creations that hold up 21st Century society. So how do you improve your imagination? Exercises can help. There are many ways to train your mind (Read: 10 Mind Training Techniques To Try). And there are some excellent exercises for imagination, as I’ll share below. Did you know, people have been doing imagination exercises for millenia. 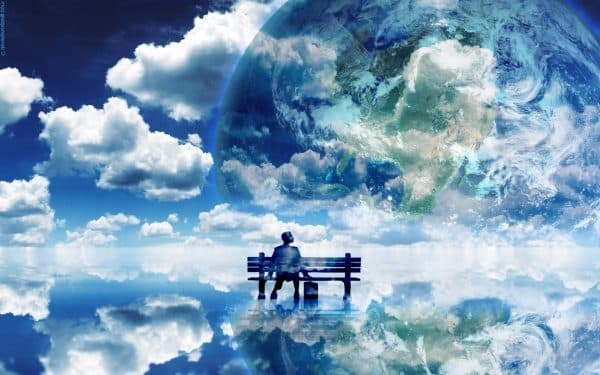 In the ancient spiritual text the Vedas, imagination is viewed as both the transcendent power through which the gods created the universe, and the power that joins the human spirit with the ultimate reality (1). To live your ultimate reality, you have to train your imagination. Great. But. How do you train your imagination? Imagination training exercises are a big deal because they are the key to being more creative. Imagination has given humankind our greatest accomplishments. It is only due to the imagination that Gaudi was able to construct the most divine architecture in Sagara Familia, or that Shakespeare was able to distill the essence of man and use it to pen such timeless classics as Hamlet and Macbeth, or that Monet was able to take the port of Le Havre France and convert it into his masterpieces. Look around at all the inventions we take for granted today. How many items around you were first imagined in someone’s mind? Imagine what you yourself could accomplish by doing some imagination exercises. When you train your imagination, you increase your creative potential. When you’re at your most creative, you open up the possibilities in your life. This ultimately will make you more successful. Career: A highly imaginative person will see the possibilities for career development, and they will also be more likely to create new things, such as products to sell (a big deal for any entrepreneur). Health: This is truly phenomenal. Imaginative people are healthier. Increased creativity leads to less anxiety, better mental health, and better problem-solving skills (3). All of this means that imagination is becoming a very real thing. Many people consider the imagination to be about childhood games of Cops and Robbers and Cowboys and Indians. They consider imagination to be pure fantasy. Neruda is not alone in his belief in the power of the imagination. Imagination perceives reality beyond the five senses. (4). This is why it is so important to do imagination exercises. Because imagination cuts through sensory reality to create a more vivid world. When you do imagination exercises you train the mind to take information from the world and rearrange it to create something new, such as by taking glass, wood and stone and turning it into a house. Imagine (pun intended) what you can achieve when you train your imagination. So, what are the best exercises to improve imagination? If you want to know how to train your imagination, learn from kids. Kids are geniuses of imagination. Everything they do is a sort of imagination exercise. And kids do imagination-training exercises every day (though they probably don’t realise it). Tragically, as we grow up we’re forced to become machines of logic and reason and we stop training the imagination. All those imagination exercises kids do? Stuff like Cops & Robbers? Adults don’t do them. Adults need other ways to improve the imagination. We adults should actively train our imaginations to stay strong, just like we train our bodies. One way to do that is by having fun like a kid. Fun implies a sense of playfulness. Playfulness implies a sense of creativity, a sense of messing around, changing things, and experimenting. Be creative. Have fun. This will boost your imagination big time. Video games have been scientifically proven to make you more creative and to improve your imagination (5). Some genres of games are better at this than others. Creative games like Snipperclips for the Nintendo Switch, for instance, teach you to be more creative and imaginative. Fantasy games like Dragon Age and Final Fantasy show you amazing fantastical lands and characters, inspiring your imagination. And there are games that get you to draw or to be creative in other ways (Minecraft, for instance). 2. An alternative imagination exercise is to just… shower?! In his groundbreaking book, Wired To Create, Scott Barry Kaufman says that 72% of people have creative insights in the shower. When we are showering we are (usually) alone and relaxed. We are in an isolated environment where there is little to distract us. The sound of the water mixed with the massaging of the body make us highly relaxed. And a relaxed mind is a creative mind (6). To train your imagination, take a truly relaxing shower with some aromatherapy soaps. 5 .Above all relax. Your imagination and creativity will come to life. 3. Meditation — Best Imagination Exercise Ever? Its a well-established fact that meditating makes us more creative. This is especially true for “Open meditation techniques”. Open meditation techniques are meditations in which we do not focus on a singular thing. Instead, we we open our minds to the entirety of our environment. We are mindful of everything. 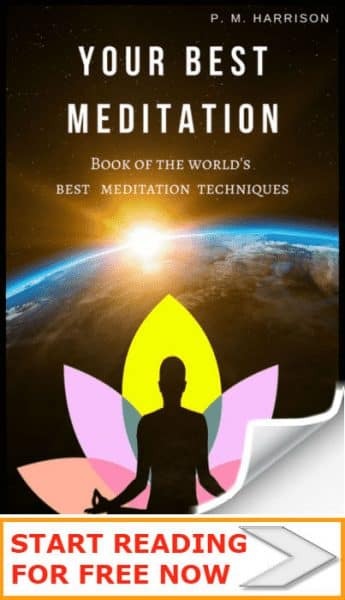 Science proves that open meditations are some of the best exercises for improving imaginatioon. Cognitive psychologists Lorena Colato and Dominique Lippelt at Leiden University conducted research and discovered that a brief meditation session can have a deep and lasting affect on your creative brain. 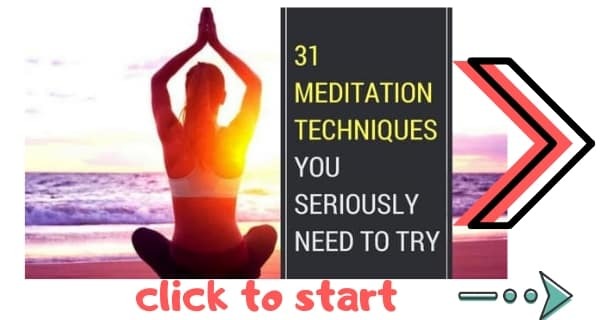 However, this is only true for “open” meditation techniques (meditations in which you are receptive to your entire environment and to thoughts and sensations)—Read my guide to 31 forms of meditation for more on this. Visual imagination is the ability to perceive mental images. For instance, I’m currently writing a fantasy novel. It’s full of lots of elaborate fantasy worlds. And when I write I literally step into those worlds. I’ve always had an insanely powerful imagination, so when I write I literally see my fictional world around me. That’s visual imagination. 1) Start by closing your eyes and taking a few calming breaths just to silence the thoughts of the day. (Use this guide to Nine Round Breathing. It’ll relax you very quickly and very deeply). 2) Imagine that you are stepping into your chosen room of your house. You open the door and turn to the left. What do you see? Take your time to really visualise the wall, any furniture, windows etc. This should take a minute or two. Allow yourself to see the colours of this side of the room, the shapes, the general outline of the room and so on. 3) Now proceed to the next wall and repeat the process. Repeat this process for each wall of the room, so you are taking a minute or two to paint a mental picture in your mind’s eye of each side of the room. 4) Once you have viewed each side of the room, allow yourself to fill in the details. Are there any items left out? Is anything out of place? Are the lights on or off? Allow yourself to see these details. 5) Open your eyes and try to recall the same mental picture. You will find it to be harder because information from your environment is interfering with the mental picture. The more you practice this exercise the more you will be able to use your imagination whilst your eyes are open, and this will greatly help you to think clearly in your day to day life. I personally do this exercise once a week. It’s a powerful way to train your ability to visualise. But you might be wondering: Why do you want to imagine the rooms of your house? The exercise is a means to an end. When you can visualise your house easily, you’ll be able to visualise other things. It will help you to see what’s in your imagination more clearly. It’s only by imagining the details of my own home that I’ve trained my imagination to be able to see the feathers of a griffin in flight when writing my novel, or the facial contours of the snow wolf that is one of my main characters. You can also use this to help you with visualisations. One of the best psychological exercises you can do is visualise your path to success. This will help with that (if you’d like to know more about this, take a look at my guide to training your subconscious mind). Read my guide to yoga for creativity for more on this. It has been scientifically proven that when you read highly imaginative fiction you open your mind and increase your imagination (4). Probably the best genre for this is the fantasy genre. Reading fantasy novels is one of the best imagination exercises you can do. Fantasy books are packed full of highly imaginative scenes and are perhaps the most creatively-liberating genre of novels. Alternatively, watch highly creative movies. These can either be movies that are highly creative in themselves (Inception, for instance), or movies that show a character being highly creative. Ryan Niemic is a positive psychologist who conducted research showing that the movies we watch have a profound impact on our mind. We can actually watch movies to learn specific human characteristics, including creativity. 7. Make use of these 40 daily brain training activities. The healthier your brain is the better your imagination will be. If you are a writer, you really should try my mindful writing exercises. They will boost your creative writing skills big time while training your mind at the same time. The single best exercise to improve imagination is just to have fun. As an artist, actor, writer, poet, and journalist I’ve used my imagination professional for many years. And honestly, every single time I’ve come up with a new idea that knocked my socks off, it’s been while I was messing around, when I was just having a laugh. And there’s a reason for that. It’s because, neurologically, feats of the imagination require neuroplasticity. Imagination exercises all increase your neuroplasticity. Imagination requires the ability to inject entropy into your mind, to mess things up, to come up with new ideas rather than sticking to the same-old thought patterns. But that’s really just a clever way of saying that you should let go, have fun, and allow your imagination to take you where it will. Great article! I’ve found that my mental visualization hasn’t been so great but imagining rooms in my house is reallly helping. Thank you!